This post includes the guidelines for NYSC Mobilization UPDATE 2019 for all Nigerian graduates compulsory one (1) year service. It is very necessary that the Forrecruiment team publish this article in other to get all our blog readers planning for the NYSC 2019 exercise fully qualified and equipped with the best information in other to ensure no blunders or errors occur. Therefore this update includes all you have to do before your final mobilization stage. Click here to view the date for the online registration, printing of call up letter and orientation camp. AS for now, no school has announced their students NYSC mobilization list, but we assure you to inform everyone as soon as the official list is out, we can even go the extra mile to help you check for your name on the official list once it is out. 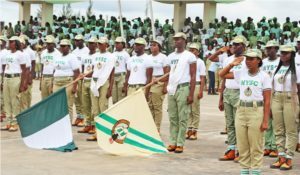 As part of attempts aimed at assuring that only eligible graduates who pass through duly accredited full-time courses are mobilized for sharing in the National Youth Service Corps, the NYSC Management is co-operating with relevant regulatory bodies of the individual Corps Producing Institutions (CPIs) – the National Universities Commission (NUC) for Universities and degree awarding institutions and the National Board for Technical Education (NBTE) for Mono/Polytechnics as well as the entry admission examination body – Joint Admissions and Matriculation Board (JAMB). Therefore, the data of all prospective corps members as presented for mobilization by their respective institutions, are subjected to screening for compliance with the requirements of these regulatory/examination bodies. In this regard, all prospective corps members whose admissions are not known to JAMB will be considered to be improperly admitted. The admission status of such students will require the modified CPIs to regularise same with JAMB. Furthermore, all Corps Producing Institutions (CPIs) have been advised to anticipate by the extent admission quota approved by the NUC and NBTE respectively in making the submission for mobilization. Any submission more than quotas approved will not be accepted. Graduates of courses not duly accredited by these administrative bodies will not be mobilized for service. It should be stated, for emphasis, that the regularization of admissions with JAMB is the duty of the Corps Producing Institutions (CPIs), just as the confirmation of approved admission quota for each course and the determination of their accreditation status is the prerogative of the regulatory bodies – NUC and NBTE. It is imperative to state that the NYSC will not act as a contact office between the Corps Producing Institutions (CPIs) and these regulatory/examination bodies. This much had earlier been brought to the notice of CPIs at the last Pre-Mobilization Workshop held in Ilorin, Kwara State. Corps Producing Institutions which are unable to conclude the regularization exercise during the 2018 Batch ‘A’ service year could still be considered in subsequent Batches when the outstanding issues would have been resolved by the institution. It has become desirable to bring this information to the attention of the general public for imminent guidance.